The new dam received a butyl rubber lining to make it more watertight in 1971, and with additional water available, men with hosepipes were replaced by rotary sprinklers in many places. 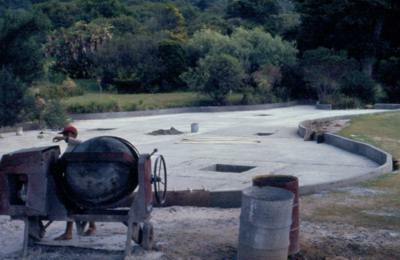 Work on the garden included the circular stone stairs to the Tea House which were built in 1972 and where in later years the first concerts would be held. This was part of the restructuring of the entire area around the Tea House, made possible by the new car park behind the Tea House which had been built late in the 1960s. 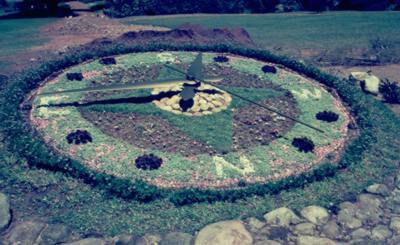 The horticultural clock was installed in 1970-1. This proved controversial and a letter to a local paper at the time deplored its theme park style. 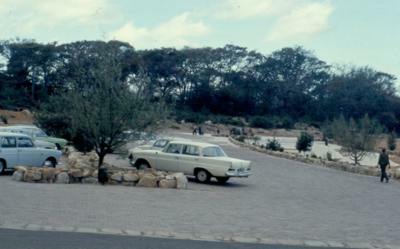 The main pond on the lawn was drained and reconcreted in 1972. 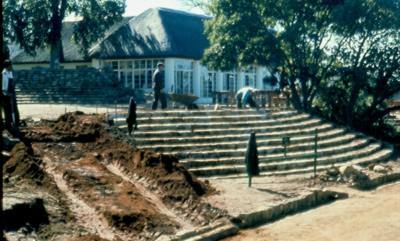 Another feature developed on the lawn below the Tea House in 1977 was a rockery built in the shape of the Cape Peninsula to feature Peninsula plants. 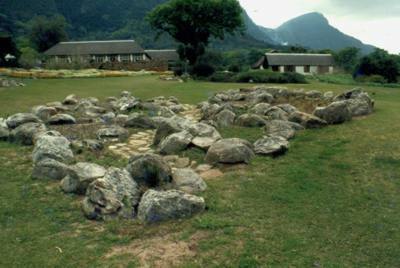 Marketing of the Garden included guided tours of Kirstenbosch by volunteer guides and the publication of garden brochures. The herbarium work continued with various scattered collections being incorporated and a fire detection system was put in place for the first time. In 1975 the Annual Plant Sale which has become so popular, was held for the first time and in 1976 Kirstenbosch had a stand at the Chelsea Flower Show in London for the first time. Kirstenbosch has exhibited there ever since has has won awards every year. One of the fiercest battles to be fought at Kirstenbosch took place when a proposal to create an elevated 6 lane freeway past the gate of Kirstenbosch was proposed in 1971, by Solly Morris the engineer responsible for many of Cape Town’s freeways. Kirstenbosch, headed by Prof. Rycroft fought vigorously against this for 4 years, until the Administrator of the Cape decided in February 1975 that an alternative route must be found, but the matter simmered on for years thereafter.